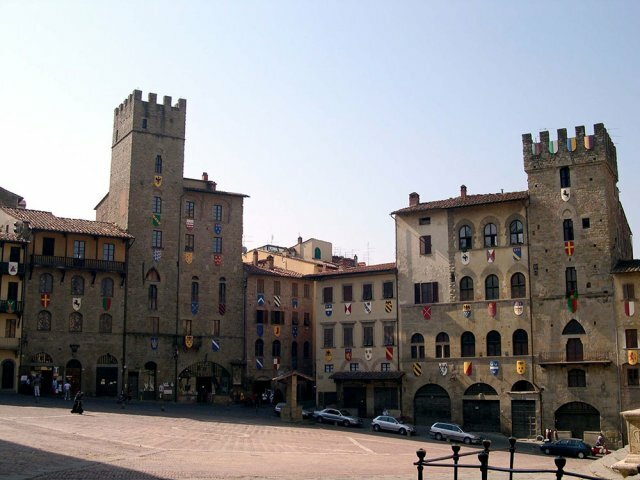 The city of Arezzo, a cache of churches and artistic masterpieces, is one of the most elegant cities in Tuscany. The tour begins with the Church of San Domenico with its marvelous painted crucifix by Cimabue, and continues with the Cathedral, an extraordinary example of Gothic architecture embelished with pictoral stained glass windows by French master Guillame de Marcillat. This is followed by a visit to the Pieve of Santa Maria, noted for its decorative portal with a Cycle of the Months, the Medieval colors of which are exceptionally well preserved.. We then arrive in the heart of the city, Piazza Grande, theater to the city’s most important events, such as the Joust of the Saracen and the Antiques Fair, and the set for a number of famous films such as Roberto Benigni’s masterpiece “Life is Beautiful”.